The rapper took aim at Trump while accepting the award for Best Urban Artist at the Premios Jeventud award show broadcast by Univision, which cut ties with the Trump-owned Miss America pageant after the candidate’s fiery campaign announcement speech last month. Earlier this week, a Twitter account purportedly belonging to the infamous Mexican drug kingpin Joaquin “El Chapo” Guzman issued a threat to Trump, saying he would make him “eat his f***ing words” in response to the candidate’s tough position on illegal immigration. Guzman escaped from a Mexican prison for a second time this week. Earlier this week, Pitbull told Fusion’s Jorge Ramos that he would no longer stay in Trump hotels. Trump is currently leading in national polls among all GOP presidential contenders. 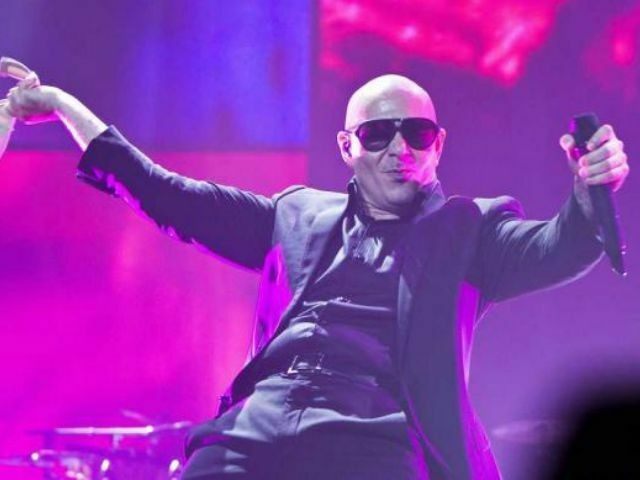 Watch Pitbull’s full acceptance speech above.